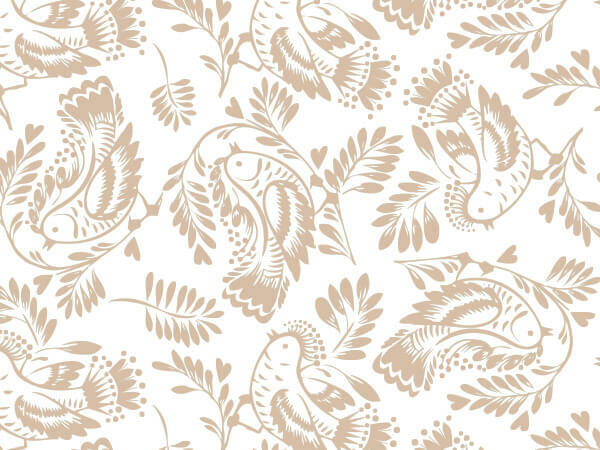 Bird Branch Tissue Paper by the 240 pack ream feature brown birds and branches on white. Tissue paper design printed on recycled paper or paper sourced from well managed forests. Green Way ® Eco Friendly Packaging. Made in USA. Floral Printed Tissue Paper gives a simple bag style, adds pizzazz to boxes or makes a simple wrap by itself. Made in the USA. These beautiful floral designs and nature prints will make your gift packaging extra special. All Floral prints are now 100% recycled. Sheets are 20x30".